It has been stated that we might define the start of the post-war years precisely at 05:29:45, local time in Socorro, New Mexico, on July 16, 1945, if linked to the testing of the first atomic bomb. Despite the negative connotations associated with this starting point, science in the initial post-war era appeared to offer the promise of a better tomorrow and instilled a belief that it might soon unlock the secrets of the universe. Whether this optimism in fundamental science is still present in today’s world might be questioned, although it is not really the focus of this set of discussions. However, the issues as to whether quantum mechanics has provided a true description of the working of our universe is tabled as a valid point of debate. In contrast to the 1950’s style marketing of quantum mechanics, the transition into the second half of our review of quantum theory involves many incremental developments, which we might initially characterise in terms of the ‘particle model’. In many ways, Dirac’s equation for the electron had provided the foundations for a more sophisticated atomic model. In 1927, Jordan and Pauli had developed a mathematical model for free photons, which we might simply described in terms of a quantized electromagnetic theory. The electromagnetic ‘force’ was also known to play a part in the interaction between electrons, protons and photons, which would eventually lead to the development of quantum electrodynamics (QED). On this basis, it was initially assumed that science had some of the key components of an atomic particle model, even though it was realised that the electromagnetic force, in isolation, was inadequate to explain the stability of larger atoms. As a result, it was speculated that some additional ‘components’ were still needed to account for a very strong attractive force within the nucleus of larger atoms. In 1932, Chadwick discovered the neutron, after which the proton-neutron model of the nucleus was proposed in conjunction with the idea of a strong nuclear force. However, even with this additional piece of the puzzle, it was realised that the idea of radioactivity, discovered in 1896 by Henri Becquerel, also needed a place within this developing particle model. Eventually, the idea of yet another interaction, i.e. the weak nuclear force, was proposed to complete the makeup of what were initially described as the 4 basic forces of nature, i.e. Supported the development of semiconductors and superconductors. What is the current status of quantum theory? To which the simple and straightforward answer might be ‘useful, but not proven ’. 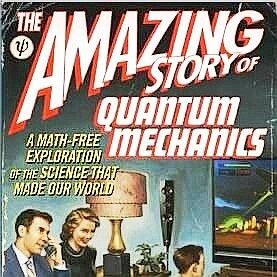 It can be said to be ‘useful’ in that it has undoubtedly provided some profound insights into the quantum realm, especially in the field of particle physics. However, it is ‘not proven’ for the reason that there are still too many nagging doubts that the insights it has provided are limited to describing the effects emerging from an unobserved quantum reality, where the process at work remain essentially unexplained. OK, but what has led to this state of affairs? A ‘conjecture’ is a proposition, which while unproven, is thought to be true. A ‘hypothesis’ is an individual empirically testable conjecture. A ‘theory’ may be a collection of hypotheses that provide a coherent explanation. By way of a footnote, a conjecture need not necessarily be thought to be true by everybody and, in fact, in the wider world beyond theoretical physics, the number supporting an unproved conjecture or hypothesis may actually be quite small. In this context, the development of quantum physics has always been based on a mixture of conjecture, hypothesis and theory, which has not been fully subjected to empirical verification. However, in practice, empirical verification of a hypothesis extending into the quantum realm has often proved difficult, or even impossible, within the remit of any known scientific methodology. As such, the initial assumption of the validity of a given conjecture, especially if supported by some mathematical model, may often persist in the absence of any immediate method to prove or disprove it. Can a specific example be given to clarify such concerns? However, at this stage, the key point to highlight is that both these opposing interpretations are based on the hindsight afforded by the last 50 years of post-war developments in quantum theory. As such, the goal of the following discussions is primarily focused on trying to understand what quantum physics can and cannot tell us about the fundamental structure of the universe. Amidst the fireworks of the 4 July 2012, CERN announced the 'probable' discover of the Higg's particles. However, what actually has been discovered was often lost within the media hype of headlines proclaiming that science has found the 'The God Particle' whatever the 'hell' that is meant to mean. See The Higgs FAQ 1.0 for a more rational overview of what this discovery 'probably' implies. But maybe that is our mistake: maybe there are no particle positions and velocities, but only waves. It is just that we try to fit the waves to our preconceived ideas of positions and velocities. The resulting mismatch is the cause of the apparent unpredictability. "Quantum field theory arose out of our need to describe the ephemeral nature of life, ....which I feel more and more as I get older."